Anyone who has had the chance to travel with me knows how crazy I am when it comes to trip planning. I literally go on vacation with an agenda, broken down by day and hour (clothing options included). While it drives my fiance crazy, I have friends who appreciate it. 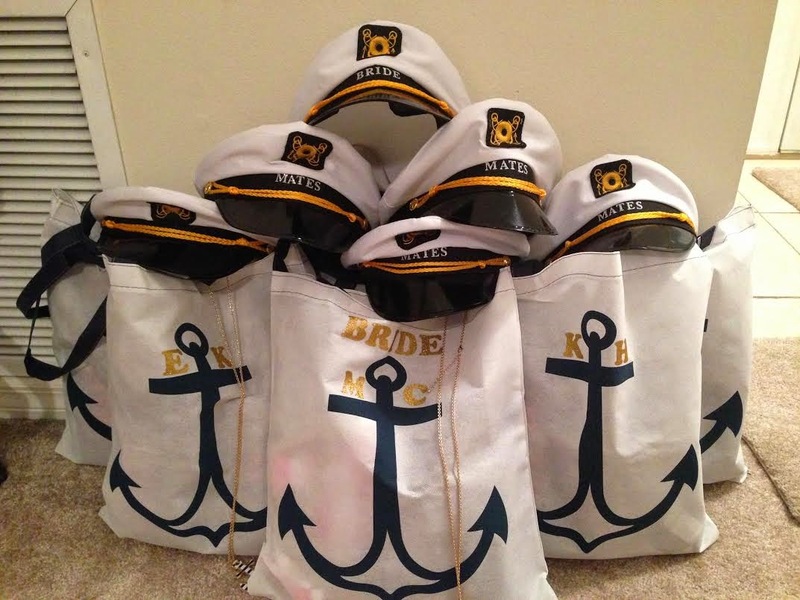 If you saw my honeymoon themed bridal shower post, you are already aware of how creative my wedding party is. 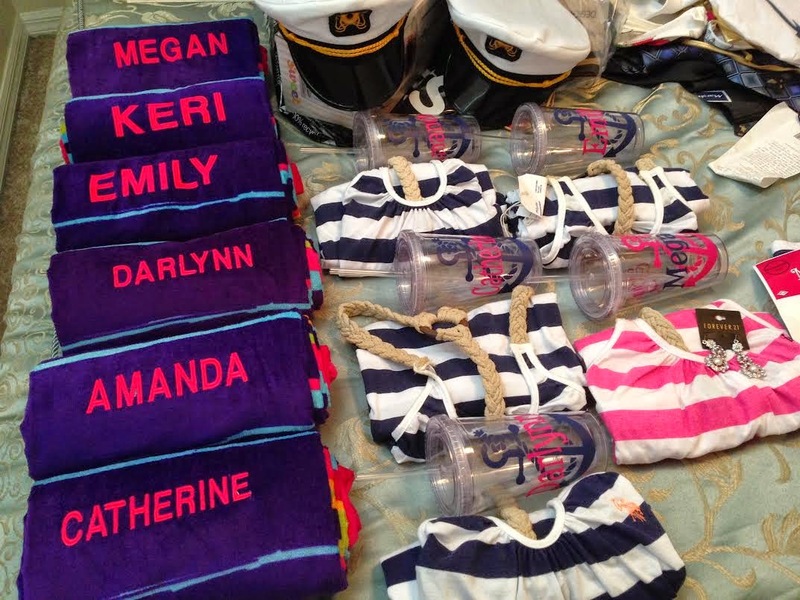 Once we decided (after some coercion from me) on a cruise for the bacherlorette party (on the Carnival Sensation), the planning began at full speed and they let me help vs keeping everything a secret. Cover-ups were purchased from Amazon & Sears - U.S. Polo Assn. 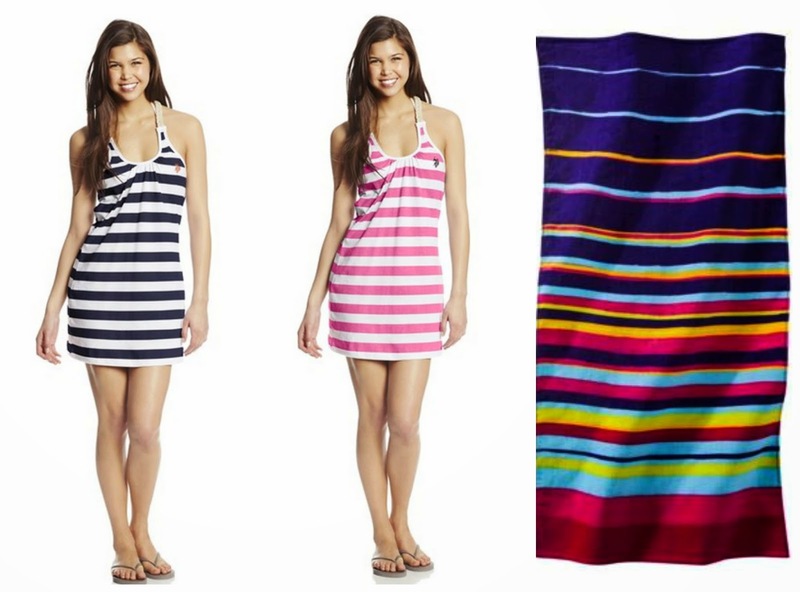 Women's Striped Cover Up with Braided Sholder Straps , theirs in navy and mine in pink. The ones from Sears were $10 and Amazon was $16. Luckily, only two were purchased at the higher price. I purchased beach towels from Target for $5 each and had my future mother in law embroider our names on the bottom of them. We got hats and bags, personalizing them with iron-on and stick-on letters. The bags were $2 each and since Keri was unsure of how the material would handle the iron on letters, she purchased an extra as a tester. She used low heat and a damp cloth between the iron and bag - they came out great. The captain hats were were on clearance at the time for $2 each. The brims are plastic so we were able to just stick the letters on. We wanted to put Capt. 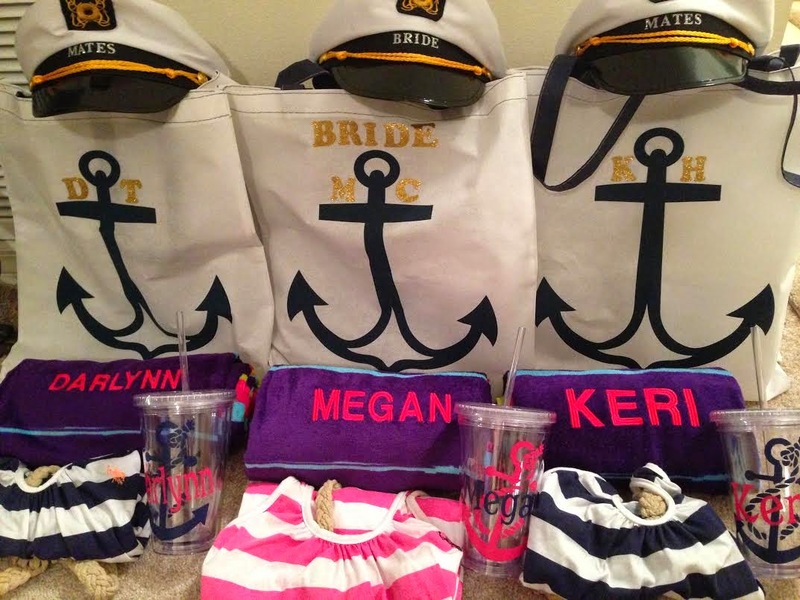 Bride for mine, Brides Mates for my wedding party and Brides Crew for Catherine but we didn't have enough letters. Bride and Mates were the final product. 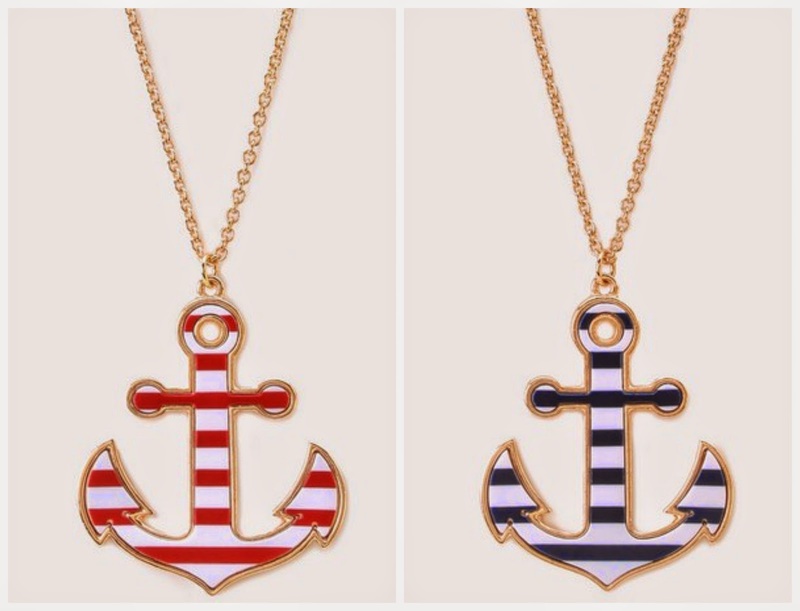 Before the cruise was even booked, we bought Anchor Necklaces from Forever 21 for less than $6.00 each. They didn't have enough for all of us to match, so we got half red and half navy. I know there are other surprises but here is the hull for now. Keri also got cups from Etsy but I have not seen them in person. She paid $8 each for the personalized cups. From the photos she sent me, I can tell they have our names and an anchor on them. Nice job I love this!! If I may ask, where did you get the bags for $2 and the hats for $2 ?? Thanks! The bags came from Oriental Trading Co. and the hats came from buycostumes.com (they were on clearance). I found the hats by searching captain hats and finding the cheapest option w/ shipping. So cute! Was wondering if the hats ran small? I found them on the website but am worried that they are not adjustable. Thank you! Thanks! Actually they were very big. Hey! How did you only spend $30 on the customized towels.